May 8, 2016 at venue Splendor Amsterdam, baritone Robbert Muuse and pianist Micha van Weers presented their CD “Alle Lust will Ewigkeit”, with a special selection of songs by Julius Röntgen. 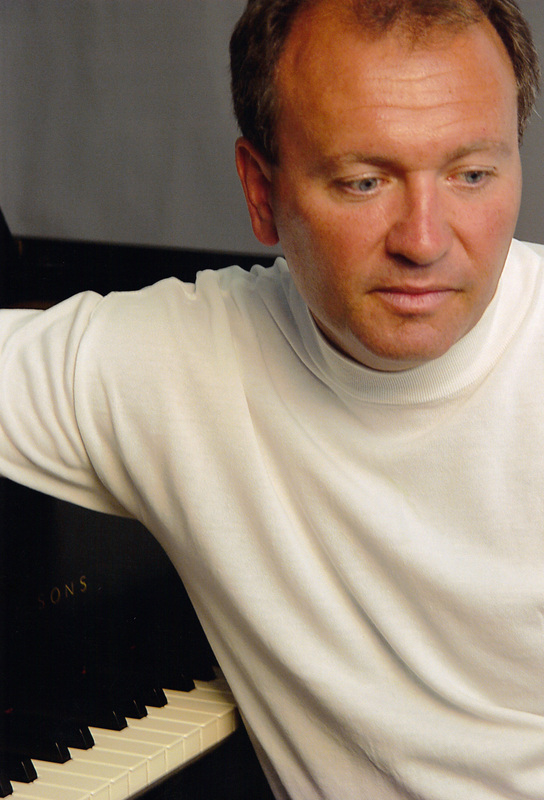 Musicologist Huib Ramaer introduced the composer and his works. Röntgen’s grandson Jurriaan Röntgen got the honour of receiving the very first CD. 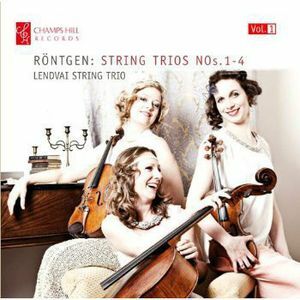 The Lendvai String Trio, consisting of Nadia Wijzenbeek-violin Ylvali Zilliacus-viola Marie McLeod-cello will produce CD recordings of the complete string trio oeuvre of Julius Röntgen in the coming years. Röntgen wrote 16 works for this occupation in the years 1915-1930, of which only the first trio from 1915 was printed as opus 76 (1924). The other trios are in manuscript in the Archive of the Netherlands Music Institute. This cd-project is being produced thanks to the prestigious Kersjes Prize that was awarded to the Lendvai Trio in 2011 and with the cooperation of the cd-label Champs Hill Records in London. This wonderful project of discovering, performing and recording the complete string trios by Julius Röntgen has been a truly monumental and tremendous experience for us; to present this first disc is a dream come true. Our journey began in 2007 when we stumbled across Röntgen’s first string trio (the only one published to date), and soon after discovered that there are fifteen more, carefully stored in handwritten manuscript form in the Netherlands Music Institute in the Hague. Intrigued, we began to investigate further, and to our astonishment realized that none of these wonderful works had been performed in public, let alone recorded. It has been a privilege to be the first ensemble to rediscover these string trios which have been archived in the library for over 80 years. Reading and playing from the old handwritten scores, instead of the usual computer-published sheet music we are used to, has added a very personal touch to the journey. The complete range of compositions for violin solo, cello solo and the duets for violin and cello have just been released as a CD box (3 CD’s). Röntgen had been very much familiar with the range of string instruments, especially the cello and the violin. His works of chamber music for strings tend to belong to the best of what he has ever written. These solo works he composed in the last stage of his life, between 1921 and 1930, and are partly based on the solo suites and solo sonatas for violin and cello by Bach. Oliver Kipp-violin and Katharina Troe-cello, both from Hannover (Germany) and members of the famous Hyperion Trio (Piano Trio), have been busy working on this repertoire that has never before been published. With the release of these CD’s a new and unique musical document has been added to the already vast collection of recordings of works by Julius Röntgen.